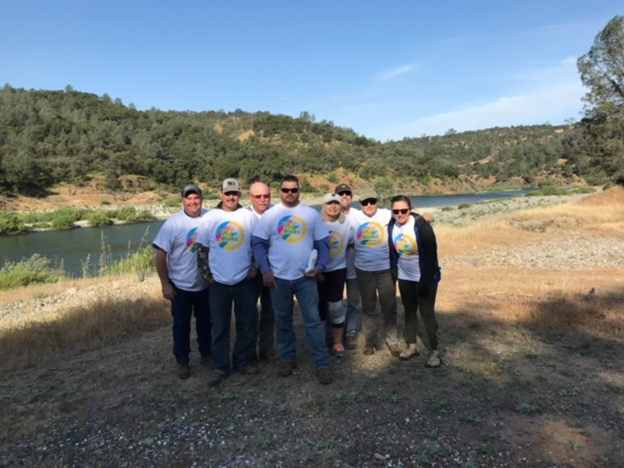 Yesterday Sierra Foothill Research and Extension Center staff employees participated in the 8th Annual University of California Walks Wellness event at the Yuba River Education Center. This UC-wide event is intended to develop, promote, and support a thriving culture of health & well-being in the workplace, with thousands of employees participating throughout the system. Our walk was organized by Staff Assembly Ambassador, Clint Tipton, who was joined by staff members at the river to exercise on the Douglas McCreary Nature Trail. UC WALKS is a UC Living Well program which promotes wellness & an active lifestyle by encouraging staff, faculty, and retirees to take just 30 minutes out of their day to walk with friends.